Do you like playing word games? 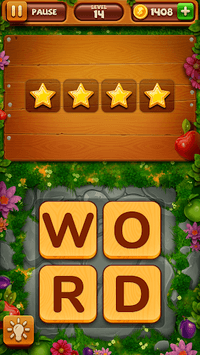 DOWNLOAD "Word Park" now and enjoy countless word puzzles for FREE! Your goal in this fun and exciting word game is to discover all the hidden words. 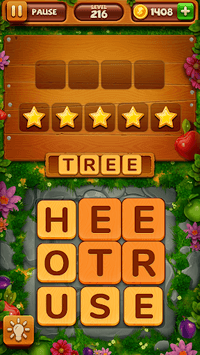 Just slide your finger across the letters to form the words and complete the puzzles! 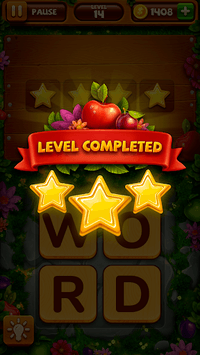 Enjoy hours of fun gameplay and improve your brain and spelling skills! • Hundreds of unique levels with tons of different words! • Improve your vocabulary while having fun! • Take your time! Enjoy the game at your own pace without any time limit! • Train your brain and spelling skills! • Play every day and collect your free daily bonus! • Beautiful design and music! • Translated into dozens of languages! • No Internet connection? No problem, you can play "Word Park" everywhere, online or offline! Try "Word Park" NOW, you will love it!